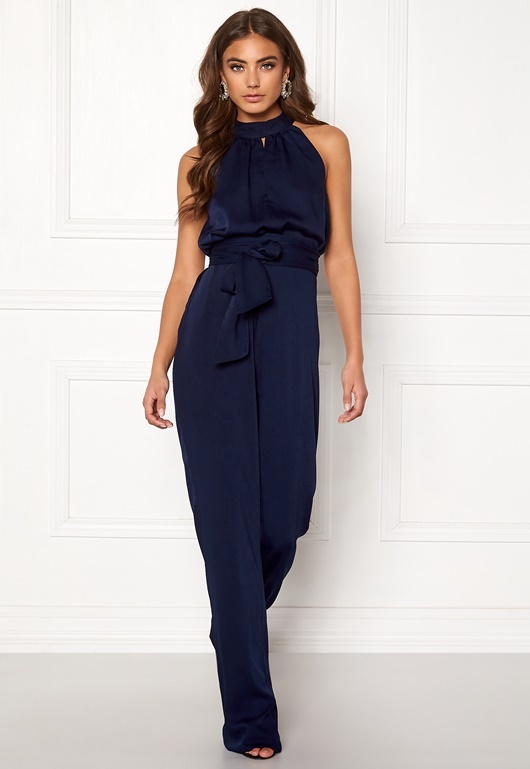 Stylish halterneck jumpsuit in woven fabric from Bubbleroom by Carolina Gynning. - Nonstretch fabric with delicately sheeny surface. - Opening both front and back. 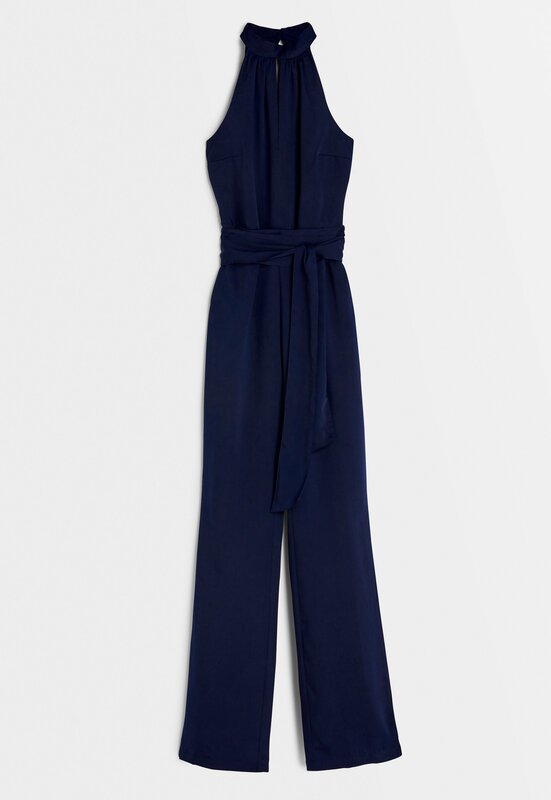 - Closure with concealed zipper and buttons at back. - Inside leg: 89 cm in size 36.